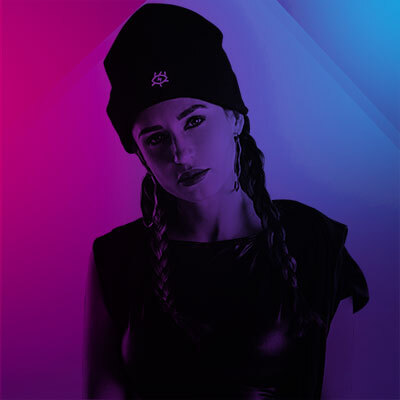 Despite the fact everyone knows Juicy M since 2013 after releasing her first mixing video on 4 CDJs and her first bootleg on Major Lazer’s ‘Bumaye’, she started djing way back in 2007 playing hip hop on real vinyls put on real wheels of steel with her fellow DJs Snake, Sub Zero and Cut Killer. And you can clearly hear hip hop influence in her sets now, this strictly-dance maximum-energy live-mashuping half-track mixing. It’s something she brought to the scene and you can hate it or love it, but you will never stay unconcerned.